Rubber Hand Stamp make your life so much easier. What do you have to sign throughout the day? What message do you have to write to clients or business colleagues every day, all day long? Rubber Hand stamps are your answer. 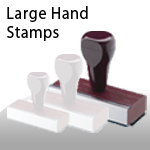 If you have a business logo and a business address that you need to be stamped on envelopes and letters, rubber hand stamps are your answer. No need to run your envelopes through the printer and possible end up ruining a few. Just sit down and stamp them one by one, saving yourself a lot of time and money. 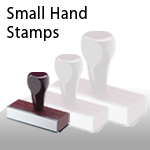 If you have a simple form that you need to stamp on postcards or at the bottom of correspondence, rubber hand stamp is your answer. Have your clients or potential customers fill out a quick form with their name, address, phone number, email and whatever other information you might need. Simply stamp it on business cards, post cards or other business correspondence and let them know you appreciate their contact information. 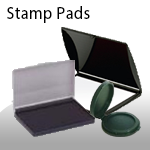 If you something that you are advertising, hand rubber stamps are your answer. Throughout the day, so much business correspondence goes out to your clients or potential customers. Why do you leave that opportunity open? If you are pushing a product or service, hand rubber stamps are your quick and easy way to add that message to the back of a business card, the bottom of a post card, or on a letter that you need to send. If we sign emails, why can’t we sign other correspondence? Don’t hesitate to spread your message? Also, get very creative? 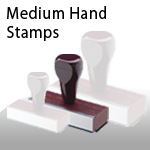 Hand stamp can literally stamp your message anywhere you want at any time. Be sure to stamp everything you possibly can and increase your business tenfold. Rubber hand stamp is your answer! Also check our more products like address stamp, signature stamp etc on our website.